Ninety Nine percent of the time, I only photograph weddings and couples sessions. 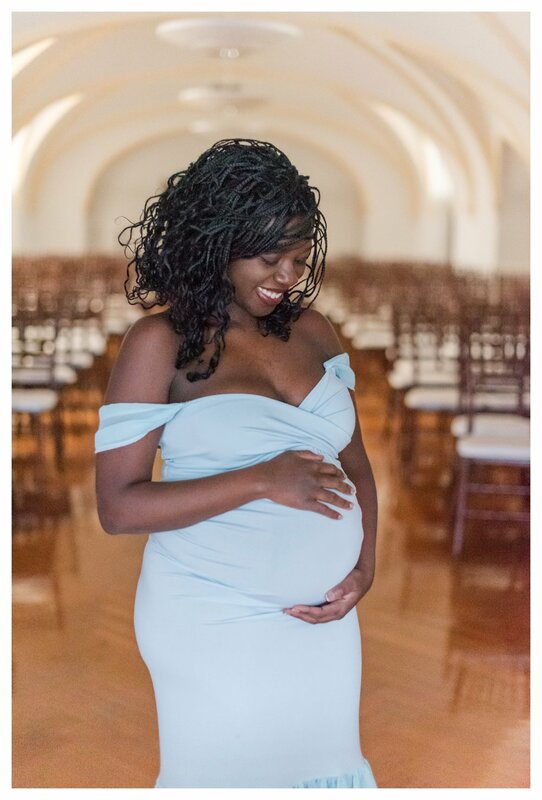 But every once in a while during the wedding off-season, I have a little extra time, and I’m able to take on a different type of photography request. 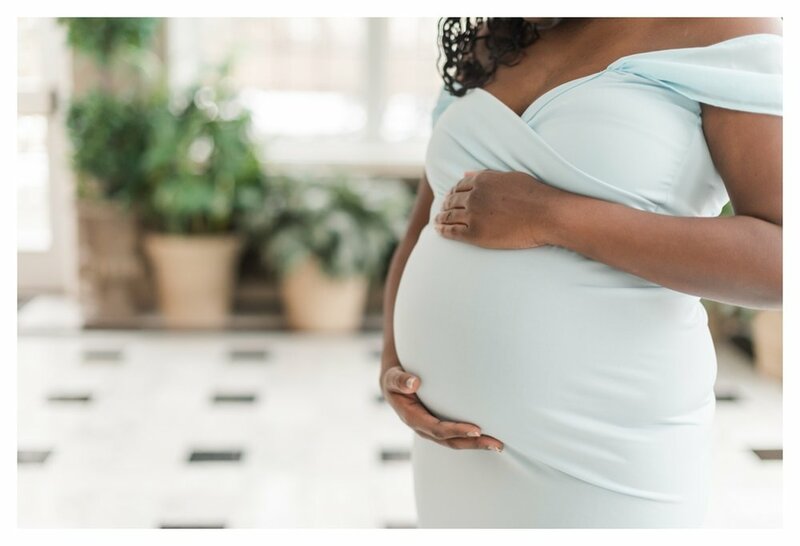 And when Doreen told me that she had booked Laurel Hall for her maternity photos, I just knew that I couldn’t say no. 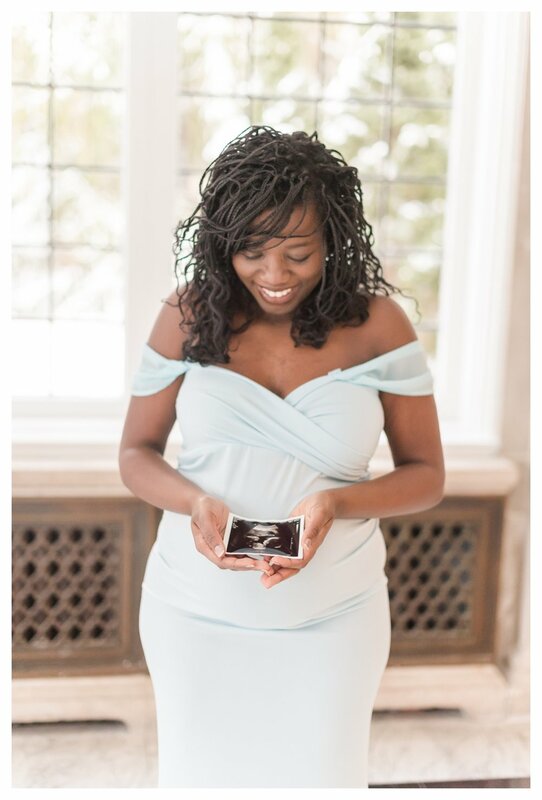 I’m so glad that Doreen chose me as her maternity photographer, because her session was absolutely amazing. We ended up with a beautiful snowy morning this morning. Although it was cold, I knew the snow would be amazing for photos. Snow sessions and weddings are my favorite part about winter time in Indiana. 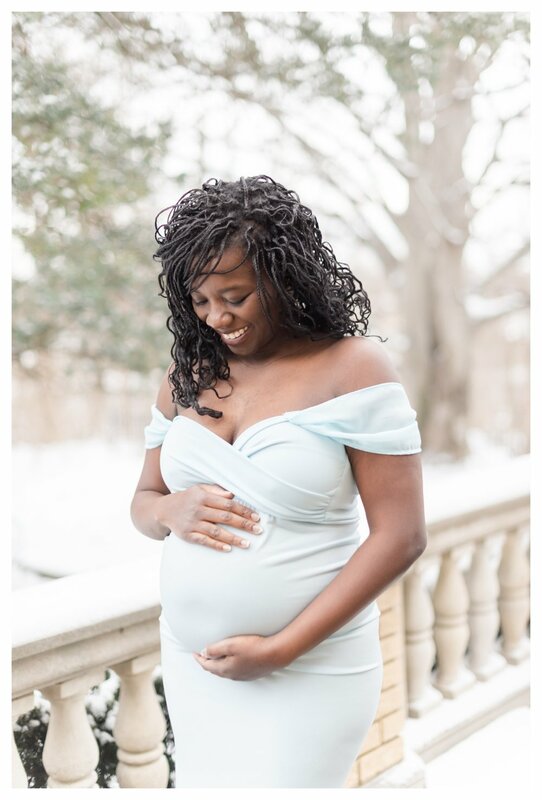 I was so glad that Doreen was still willing to have her maternity session today even with the cold weather, because the few snow photos that we managed to take were well worth it. The solarium at Laurel Hall was the perfect setting for a majority of Doreen’s photoshoot this afternoon. The stunning architecture and amazing natural light make this room every photographer’s dream. The lighting today was even better than usual because of the snowy skies. We also explored the rest of the venue including the elegant terrace, the stairs outside that showcase the venue, the grand staircase inside, and the wedding chapel upstairs. I love using every room that I can whenever I photograph weddings or sessions at Laurel Hall. I think the diversity of the venue really adds to the photos. 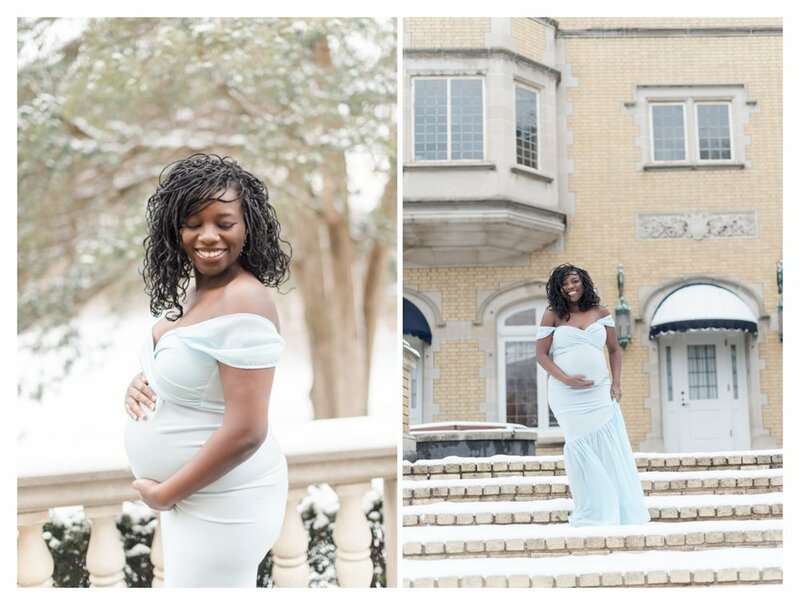 Enjoy a few of my favorite photos from Doreen’s maternity session at Laurel Hall this afternoon! I can’t wait to finish editing her full gallery! Are you looking for a wedding photographer? I would absolutely LOVE to work with you! Send me a message over on my contact page to see if I have your wedding date available.